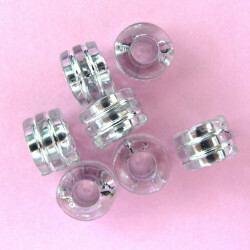 AC4740 - Clear and silvery barrel beads. Pack of 10. Approx. 6 x 7mm. Large hole.